Work: Corporate Design, Logo-Gestaltung, Webdesign (CMS). GREEN FASHION is a revolutionary research project by a team of experts in the field of sustainable design, fashion and material innovation. We will improve whole value chains and life cycles of fashion and its consumption through making it more sustainable. 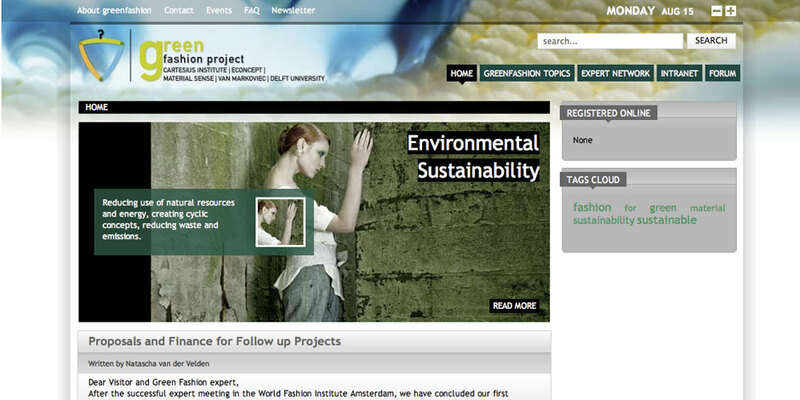 The project tackles the three dimensions of Sustainability: Ecology (= non toxic, eco efficient and cyclic fashion concepts), Economy (= to create Value for Consumers and Producers), Social/ Ethical Aspects (= creating Quality of Life for all Actors involved in production and consumption of fashion, e.g. fair production, healthy clothing).